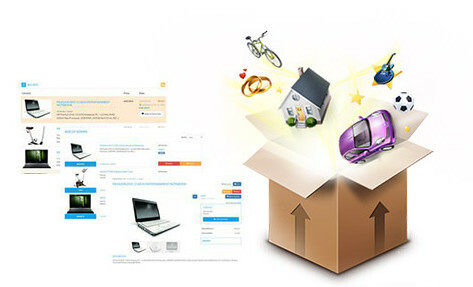 AdsManager is one of the most popular among other extensions for Joomla. Your site can be about: estate, Pets, electronics, furniture... component when properly configured, will meet all requirements! It will suit absolutely anyone! Whether you are a web master or developer you can customize the ads on your site for every taste. AdsManager component has a very flexible settings and is written using the MVC Joomla architecture. The architecture is native to Joomla, because of failures with this plugin you will not notice. Extension Joomla - AdsManager provides plenty of options of settings, different views and extensions for it that's made for you to build your perfect site! This component Joomla is used by many webmasters. If you are in this, the most numerous group, you can see that AdsManager is ready to create what you think. If you are a developer and want a component that can be easily adapted or extended, it is for you! The code was written with the KISS principle, this system works better because it is simple. Simplicity is a key goal in design and unnecessary complexity avoided. On this all advanced users choose this component. Integration with third-party extensions: PMS, CommunityBuilder, JComments etc. Automatically create an account when placing ads. The choice of fields for specific categories and create an unlimited number of categories and under categories. Built-in advanced search for all ads. The installation of the advertisement term. The choice of method of display ads. The display settings in the ads contact information for everyone or only registered. Download images for ads and user rights to edit or delete your ads. Module to display random or latest ads. The cache management, the ability to create SEF, and more. Quickstart package with demo data.